This weekly health news roundup presents Bel Marra Health’s latest news articles on Alzheimer’s disease, protein leakage, brain fog, cervical spondylosis, and immune system. This week, we discussed the early signs of Alzheimer’s disease, protein leakage in kidney disease, brain fog causes and prevention methods, causes and treatment of cervical spondylosis, and the best foods to eat for a strong immune system. Early signs of Alzheimer’s disease have been found in the brain area associated with memory formation and information processing. 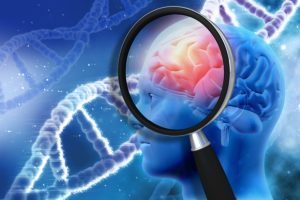 The study confirmed that two molecules assumed to contribute to Alzheimer’s pathogenesis were present in the brain area involved in memory formation and information processing. Hopefully, these findings will inform the development of potential new treatment methods that can better target Alzheimer’s disease. Protein leakage (proteinuria) in chronic kidney disease can be controlled with new therapy. The therapy was created using Receptor-Heteromer Investigation Technology (Receptor-HIT) developed at The University of Western Australia/Perkins and assigned to Dimerix in 2006. The trial therapy also added a blocker compound to one currently used to treat hypertension and nephropathy in type 2 diabetic patients. Brain fog isn’t a medically recognized condition but it is characterized by the feeling of confusion, forgetfulness, lack of focus, and poor mental clarity. Patients describe brain fog as the inability to think clearly. Cervical spondylosis, also known as cervical osteoarthritis or neck arthritis, can be a painful and debilitating condition, but with proper care and treatment, many people who suffer from it can lead normal lives. Cold and flu season is upon us! If you don’t want to be bogged down by illness (who does? ), you should wash your hands diligently, get the flu shot, and try your best to avoid people who are sick around you. But another great trick is boosting your immune system to make sure it has all the fighting powers to ward off illness when it strikes. An easy way to boost your immunity is with the foods you eat. Healthy food is packed with essential vitamins and nutrients your immune system needs in order to stay strong. When you eat unhealthy foods, you are weakening your immune system so it can’t fight off any impending threats as effectively.